Did you mean: superman the man of steel 25 1993 (45 items)? Superman the Man of Steel # 25 (DC, 1993) Reign of the Supermen! Superman: The Man of Steel #25 (1993) 'Return' of Superman The Real Steel Deal? 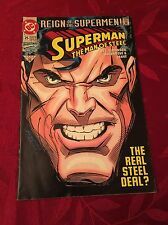 Superman the Man of Steel # 25 (Unread NM+Mint) DC, 1993 Reign of the Supermen! 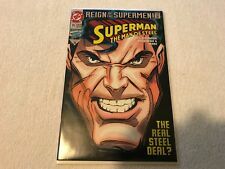 Superman the Man of Steel # 25 (DC Comics book, 1993) Reign of the Supermen! Superman: The Man of Steel #25 DC Reign of the Superman! Superman: Man of Steel #25 - Sep/93 - The Return! 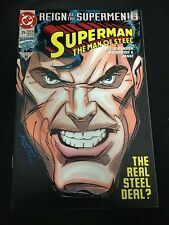 SUPERMAN Man of Steel #25 DC Comics 1991 Reign of the Supermen!